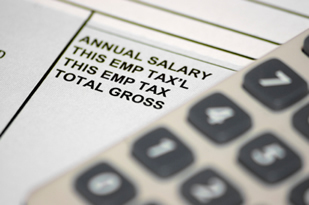 This is a state based tax that is assessed on your business’s total taxable wages when they exceed the payroll tax threshold. Sounds straight forward doesn’t it! However beware; the Office of State Revenue’s (OSR) definition of “taxable wages” is very broad. It comprises not only gross wages, but allowances, superannuation, fringe benefits and can include contractors. The OSR can also “group” associated businesses under one assessment. SO DON’T GET CAUGHT OUT,IT IS UP TO YOU TO REGISTER YOUR BUSINESS FOR PAYROLL TAX. The OSR can raise assessments that may go back to the date your taxable wages went above the threshold and add penalties and interest. If you are unsure whether you need to register, please contact us immediately for a no obligation assessment of your situation.We can steer you through the registration process,assess your liability and prepare and lodge your payroll tax returns.